In 1588, in this village known as Malate, the Augustinian friars built a church in honor of Nuestra Señora de los Remedios. The stone church and convent, built in 1591, suffered heavily during the earthquake of 1645 and 1863, while both buildings were pulled down in 1667 on orders of Governor General Manrique de Lara, who feared an invasion by the pirate Koxinga. But the Sino corsair died in Formosa or Taiwan just before the invasion, and the church was rebuilt later that year, and during the next three years, with the same stones and bricks. 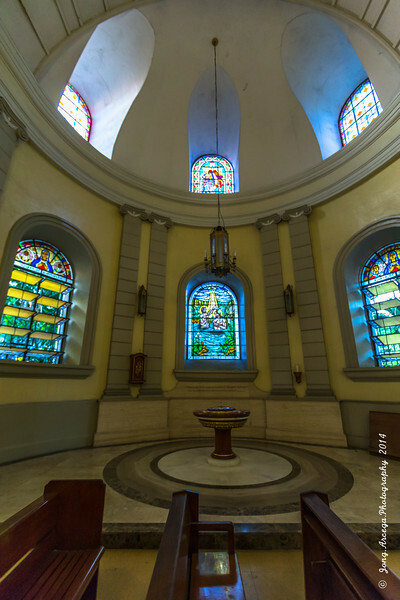 When the British landed in Manila in 1762, they made the church their headquarters. Repairs had to be made after the British left the following year. But both church and convent were destroyed beyond repair by the typhoon of June 1868. The present church was then rebuilt for the third time in its entirety, thanks to the parish priest, Fr. Francisco Cuadrado, who, together with the poor fishermen of his parish, toured the city and nearby provinces to raise the much-needed funds. The upper façade of the church was completed three decades later, from 1894 to 1898.